The winner of our historical fiction giveaway for December is Beth B. Congratulations, Beth!! Thanks again, Deb! 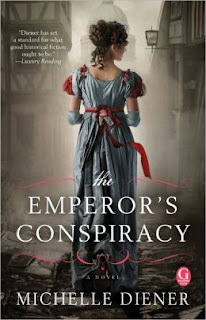 I am really looking forward to reading The Emperor's Conspiracy and my first novel by Diener. Love reading new-to-me authors.